Obituary for Renee Octavius (Chester) White | Henry Funeral Home, P.A. 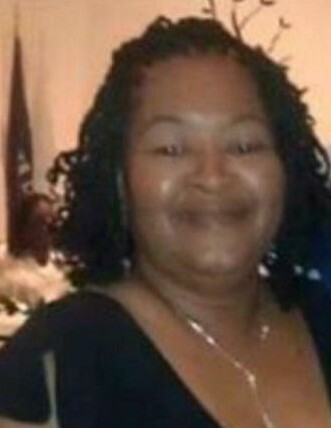 Renee Octavius Chester White, 55 of Cambridge, departed this life on Tuesday, March 26, 2019 at her residence. Born November 19, 1963 in Dorchester County, she was the daughter of Belinda O. & Dwight A. Jackson Sr. and the late Howard Carson. Renee attended the public schools of Dorchester County, a graduate of the Class of 1981. Affectionately know as “Nippy”, she was employed with Coldwater, Western Publishing, Hi Tech Plastics and her ultimate enjoyment was her employment as a Childcare Provider. Renee’s hobbies were playing “Bingo”, teaching and working with kids. In addition to her father, she was preceded in death by her maternal grandmother, Edith Chester and paternal step grandmother, Delores Watts. Her memory shall be cherished by her children, Latavia Chester, Yuma White, Na’Brent Chester and Tyriqua Henry (who was like a daughter); grandchildren, Ny’Jah Chester, Amani Chester, Ny’Zhier Youmens, Amari Chester, Nia White, Chyna Wongus and Timia Brown; parents, Dwight & Belina Jackson Sr; paternal grandmother, Clara Bell Tilghman; siblings, William Chester, Faye Carson, Dwight Jackson Jr. and Tinisha Jackson; ex-husband, Keith White; special friend, Karen Camper and a host of aunts, uncles, nieces, nephews, cousins and friends.